It's back to school time which is very exciting for us stationery lovers...a chance for us to update our supplies and no one questions it lol! If your looking to stock up on your supplies I have a little sale for you. 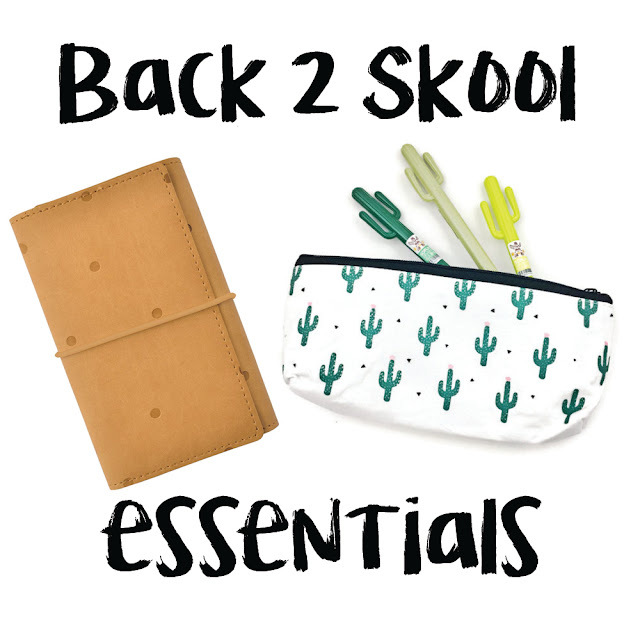 Just use coupon code: back2skool2017 to take 20% off of all Pens, Pencils, Pencil Cases, Sticky Notes, Planners & Journals. No minimum order quantity - order as much or as little as you like. Coupon is only valid for one use per user. Please make sure you use the coupon at time of purchase as the discount cannot be given after the transaction has been made. Coupon can only be used on Pens, Pencils, Pencil Cases, Sticky Notes, Planners & Journals - nothing else. Excludes items already in the sale section. Available internationally. Available from until end of Wednesday 6th September 2017 - remember we are UK based so this is BST! Coupon cannot be used in conjunction with any other code or coupon. Phew! That's that done lol!